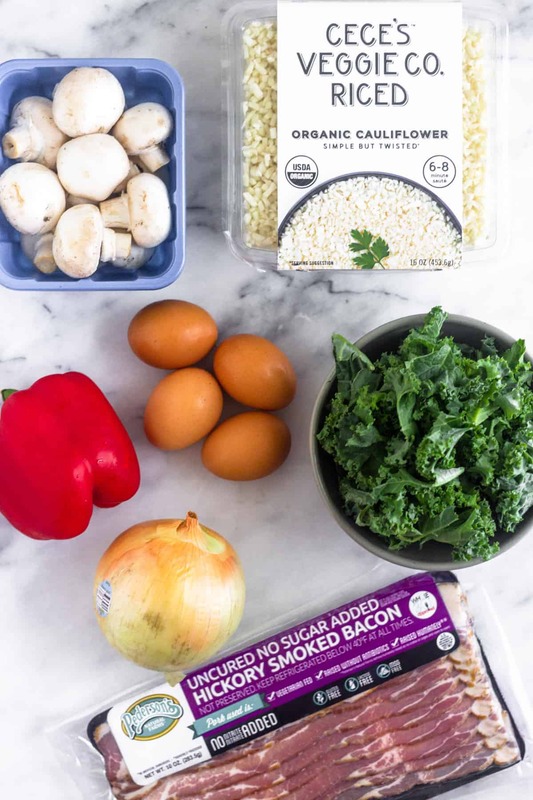 One pan Whole30 & Paleo Breakfast Fried Rice packed with bacon, veggies, and that great fried rice flavor. 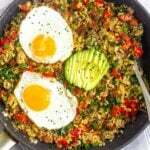 Makes a healthy and gluten free cauliflower rice breakfast bowl! 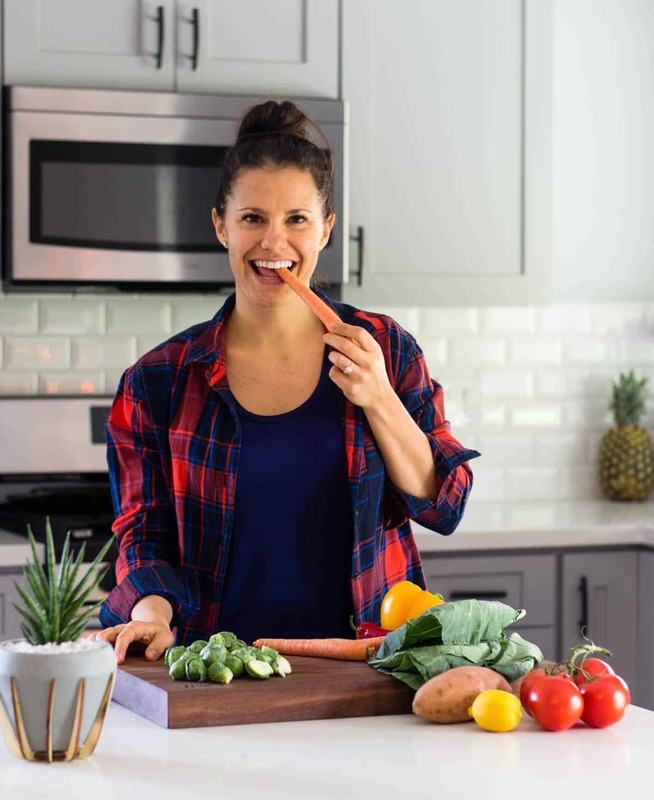 This recipe first appeared on Instagram in partnership with Cece’s Noodle Co. Growing up, our family loved some fried rice. Once it hit the colder months, my mom loved getting Chinese takeout ever few weeks. It was great after a long week or just when she didn’t feel like cooking. She called it a stick-to-your ribs kind of meal that was perfect for chilly months. Since she is a vegetarian, one of the staples we always got was a veggie fried rice. 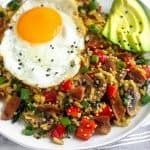 I thought it would be fun to take those classic fried rice flavors and turn it into a breakfast dish! Because I mean, who wouldn’t want eat fried rice for breakfast. 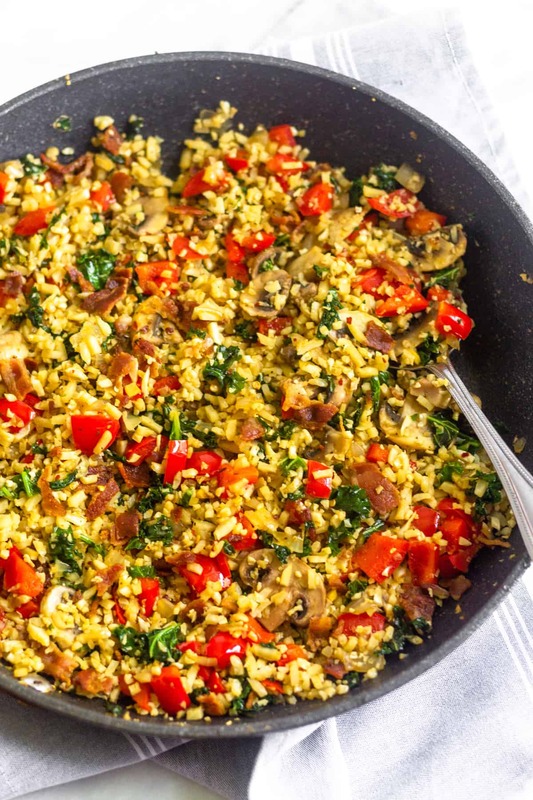 To make this dish Whole30 & paleo friendly, I swapped out the white rice for cauliflower rice. While I do like white rice, cauliflower rice makes a great low carb alternative and packs in fiber, vitamin K, vitamin C, folate, and potassium to name a few. 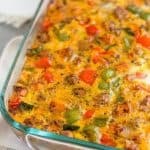 This dish is packed with veggies plus a few other breakfast staples! 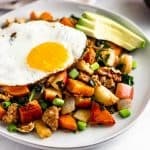 Since this is a breakfast version, you start by frying your bacon, which makes it bomb because then you use that bacon grease to cook the rest of the veggies in. Next you add your veggies and sauté until they are soften. Last, you add in the cauliflower rice and the seasonings. 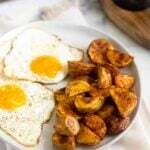 To finish, top it off with some fried eggs!! Totally optional, but I highly recommend! 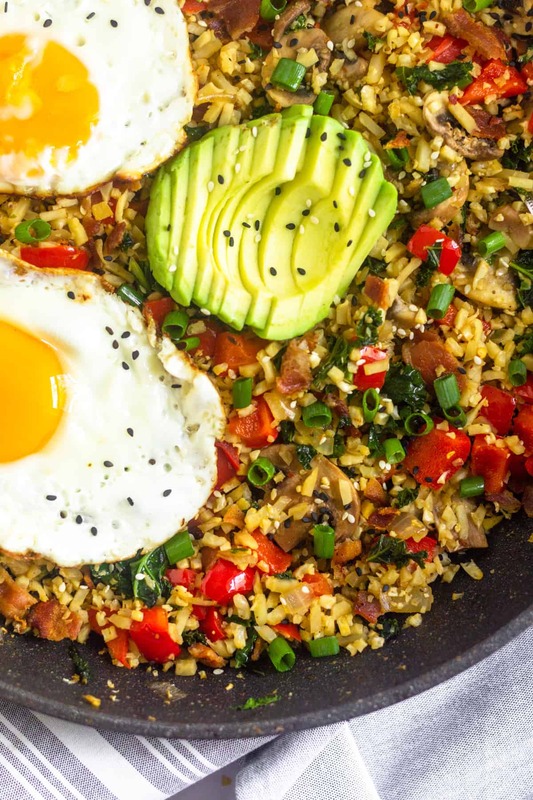 It only requires one pan and comes together in about 20 minutes. 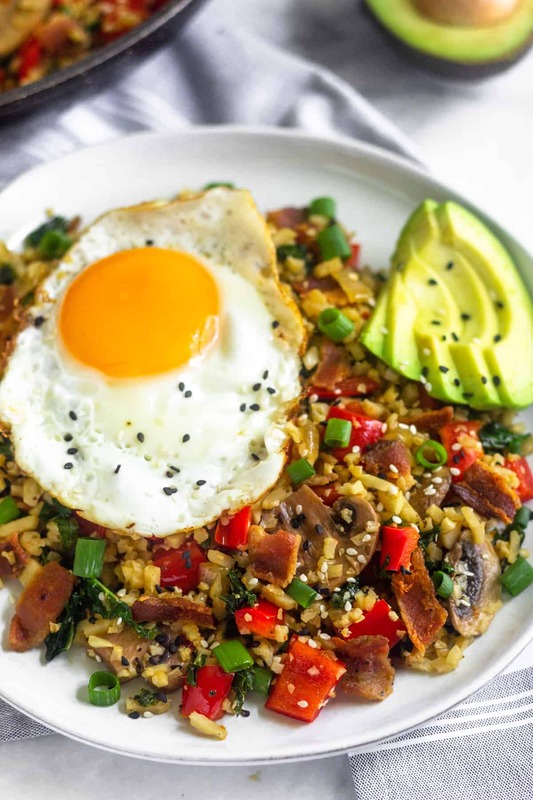 This whole30 & paleo breakfast fried rice makes a quick way to pump up the veggies for breakfast while you feel like you are eating some Chinese takeout. 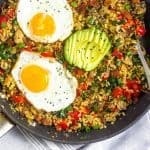 It makes a great dish for meal prep as you can store it in the fridge and just fry some eggs (or top with hard boiled eggs) as you are getting ready for work. It should keep in the fridge for 5-7 days in a tightly sealed glass container – I love these ones! We use them everyday for Michael’s lunch! 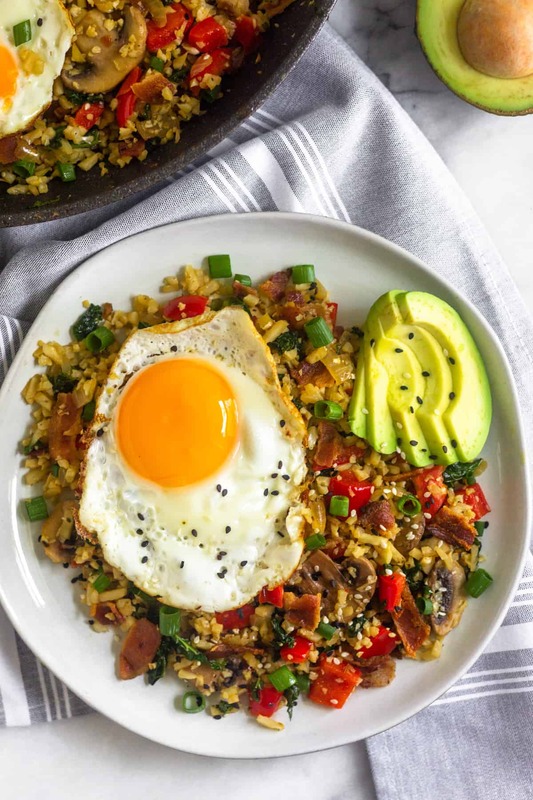 One pan Whole30 & Paleo Breakfast Fried Rice packed with bacon, eggs, veggies, and that great fried rice flavor. 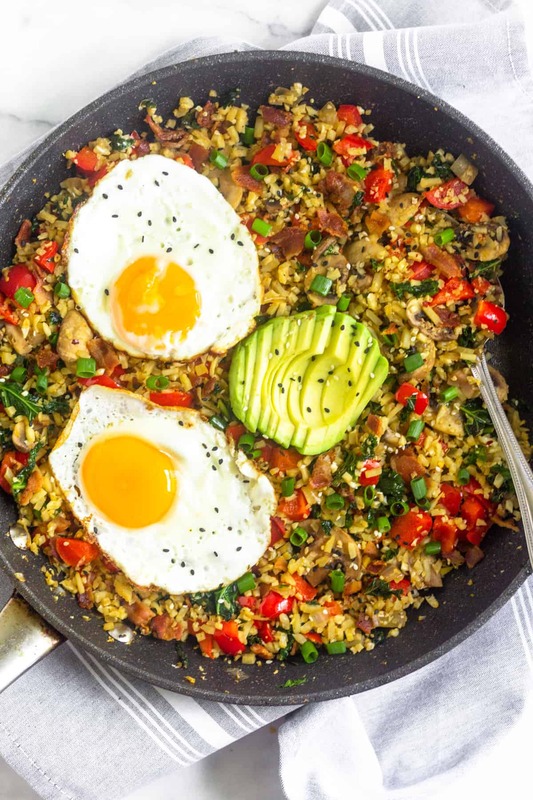 Makes a healthy and gluten free cauliflower rice breakfast bowl! In a large sauté pan over medium heat, add bacon and sprinkle with pepper. Cook for 10 minutes, flipping once halfway through until crispy. Place on a paper towel lined plate and let cool. Remove all but a tablespoon or so of the bacon grease. Turn heat to medium-low, let pan cool for a minute, and add minced garlic and ginger and sauté for 30 seconds or until fragrant. Add onion and sauté for 1 minute. Add red bell pepper and sauté for 30 seconds. 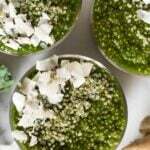 Add cauliflower rice and kale and sauté for 1-2 minutes. Add remaining ingredients, stir well, and cook for another 1-2 minutes until everything is incorporated. Crumble bacon on top and serve with eggs your way! So glad you loved it! Thanks for trying Jackie!